It was a lot of fun working with both the buyer and sellers of this home located in the Westwood subdivision of Wayne. Seeing the excitement on the buyer's face this morning when he got to hold the keys to the front door in his hand for the first time reminded me of why I enjoy my job so much. He tells me that he is "no spring chicken" anymore, but he also serves as proof that you are NEVER too old to buy a home for the FIRST time. Congratulations to you, Randall, on the purchase of your first home, and best wishes to the Zouchas as you move from Wayne to begin new careers! Thank you for the trust you all put in me to help you buy and sell your first home. 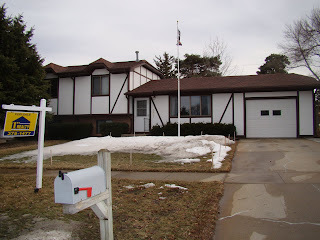 I had the opportunity to meet the owners of this new listing over four years ago. At that time, they were first-time homebuyers looking for a home to purchase in Wayne to begin their life together. In four years, they have added new flooring, installed new vinyl replacement windows, poured a concrete slab out front, added new light fixtures, and painted the home's entire interior. This was the perfect home in which to start out their family, and they know it will make a great home for someone else just starting out! 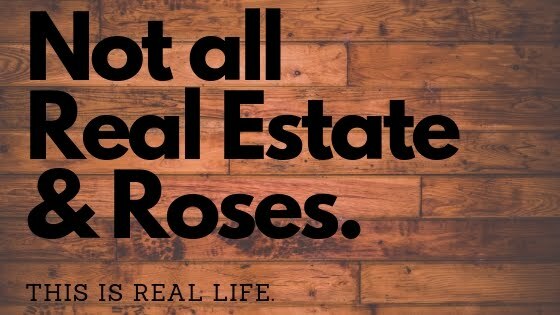 Somebody asked me yesterday how long I had been a real estate agent which made me step back and think about how many years I have been helping people buy and sell homes in the Wayne area. As of this September, I will have been with 1st Realty Sales & Management for a total of seven years. It's hard to imagine that I have been a real estate agent this long because it seems like just yesterday I was closing my first home sale. I guess the old saying is true that when you have a job that you love, it really doesn't seem like a job at all. I have had the privilege of working with a multitude of clients and customers during the past seven years, and I look forward to the many people that I will meet in the years ahead. Being a part of one of the most important decisions people will ever make in their lives is the best part about this job. It is humbling to know that so many people place their confidence and trust in me to help them through the home buying and selling process. From handing over the keys to a first-time home buyer to helping sellers finalize their paperwork, there is never a dull day in real estate. I hope that I will someday have the opportunity to hand over a set of keys to you and say, "Welcome Home!"